Members of the California Baptist University community have become “insta-celebrities” by sharing their pictures with thousands through the Instragram app. Instagram is one of the most downloaded apps and has become home to many popular online accounts. Dirk Dallas, assistant professor of graphic design, has received considerable Instagram recognition, closing in on 170,000 followers. Dallas was named as one of 2012’s Top-50 Mobile Photographers by iPhoneogenic. His instagram photos have been featured on CNN.com, Mashable.com, USA Today and Photojojo, along with photography shows at the Orange County Center for Contemporary Art, San Francisco’s ArtHaus gallery and The MMS Gallery in Philadelphia. After attending many “insta-meets” to establish connections with others who utilize the app, Ryan S. Welsh’s popularity did not spike until his account was chosen to be featured on Instagram’s highly coveted list of suggested followers. Welsh, a senior graphic design major, said he thanks the folks at Instagram for his status as a profile to follow.Welsh’s regular collaboration with other Instagrammers has resulted in several strong friendships made possible through Instagram. 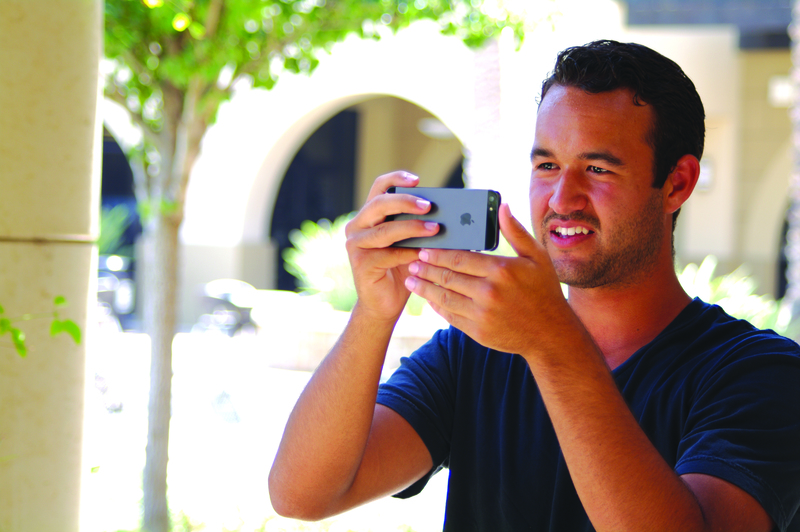 Alfredo Luviano, senior graphic design major, was one user hesitant at first to download the app, but like Dallas and Welsh, quickly became hooked to the Instagram community. Luviano’s growth in popularity has resulted from increased social interaction with other users. Though the online fame of these Lancers has risen, their interest in the app has remained the same. To them, Instagram is a creative, personal documentation of their lives and a fun social outlet. For many, Instagram has not only changed the way they view photography, but the way they see the world. Follow their accounts: Dallas @dirka, Welsh at @ryanscottwelsh and Luviano @alfredoluviano.